Hello world! 2012 is here already! Hows everyone doing? I’ve been quite busy with all the visitors in town the past few weeks and haven’t got much time to update this blog or to draw. 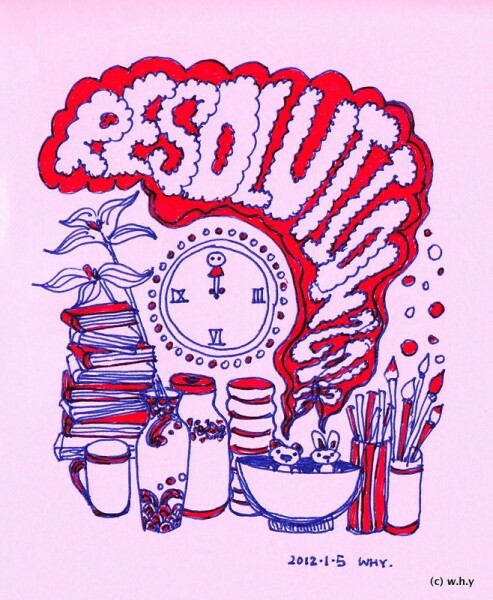 Anyways, here’s a little doodle I did about resolutions with Pilot G-2 05 gel pens, wish you all a great 2012! This also starts my 6th years of blogging, how time flies.